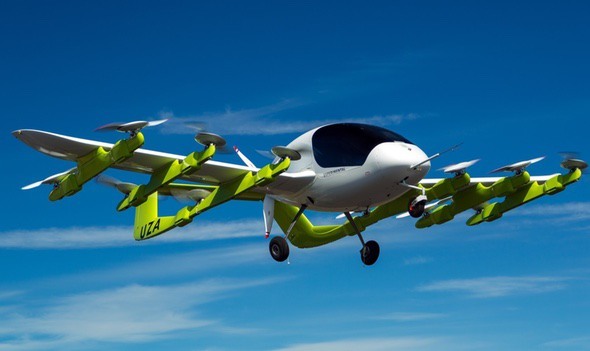 Cora is an airplane that doesn’t need a traditional runway for take-off and landing. With Vertical Take-Off and Landing (VTOL) and an autonomous software the folks at Kitty Hawk hope this aircraft will be the sky taxi of the future. This particular model is named Cora and it can fly at speeds up to 110 miles per hour up to 3,000 feet. Video of this helicopter/plane in action after the break. Capacity: Designed for two passengers. Vertical take-off and landing: Cora is powered by 12 independent lift fans, which enable her to take off and land vertically like a helicopter. Therefore, Cora has no need for a runway. Fixed wing flight: On a single propeller. Range: Initially about 62 miles / about 100 kilometres.